After one visit with us, you will see why our shop is the best place to service your luxury vehicle. Many BMWs are custom made and their smooth ride is dependent on the quality of the parts in their make-up as well as frequent and thorough maintenance services. At Dave’s Ultimate Automotive, we have access to authentic BMW parts and accessories and understand the intricacy of your vehicle and the attention. Our technicians continue to learn the variations in each make and model. 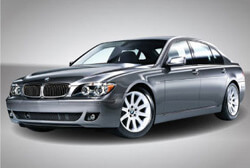 We can handle BMW services at any of our locations in Austin, Cedar Park, or Pflugerville! With precision engineering, these luxury vehicles are pristine from the inside out. Our professionally trained staff carefully examines your car, ensuring that it keeps its smooth charisma and charm on the road. Don’t take your BMW just anywhere. Call us or set up an appointment online, and see for yourself why Dave’s Ultimate Automotive is the best place to service your BMW. Did we mention that all of our BMW repair services are guaranteed by a nationwide 24 month/24,000 mile warranty? When you bring your vehicle to Dave’s Ultimate Automotive you can be confident that it is truly in the best hands. We also are happy to provide free vehicle safety checks on your car’s air conditioning, brake system, alignment and check engine light, further helping you and your family stay safe on the road!